The other morning as I was eating breakfast and getting ready for work I decided I needed a little something to make it feel more like Valentine's Day! I had everything that was needed I just needed to put on my thinking cap. 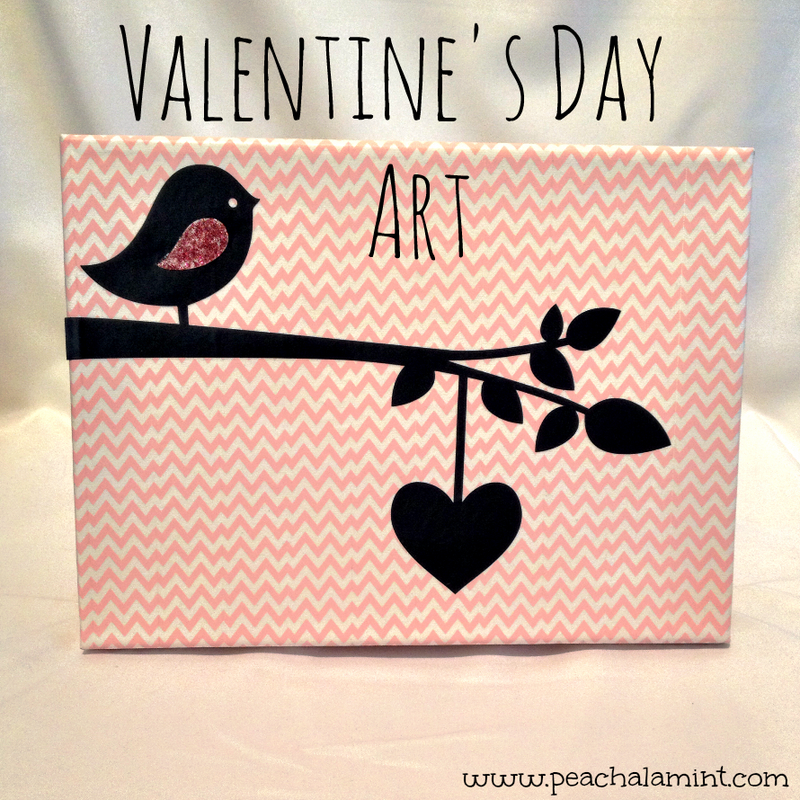 A blank canvas, washi tape, a vinyl cut out and some glitter with mod podge put it all together and you have a cute Valentine's Day art to put on the wall. 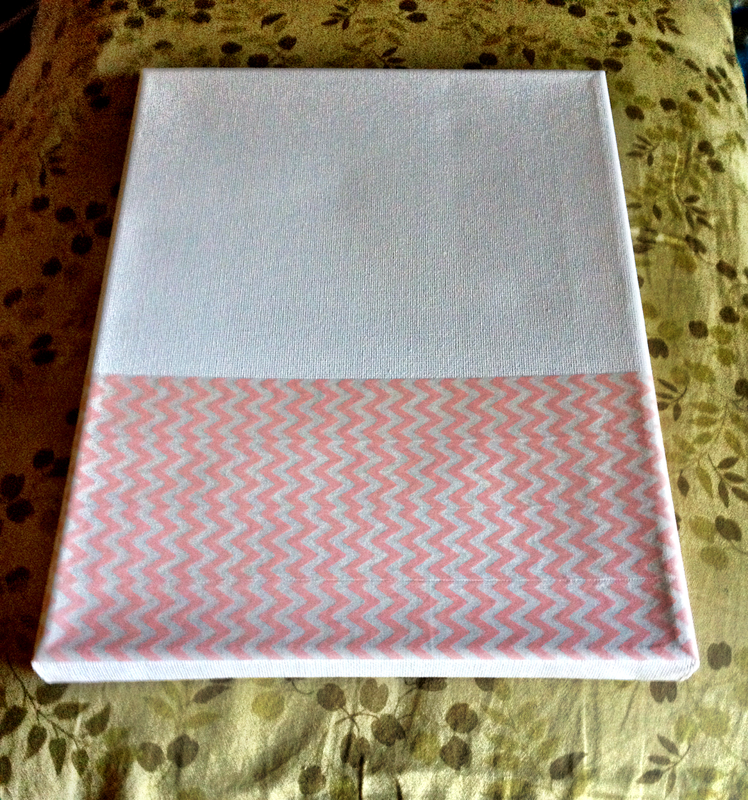 I started by wrapping the blank canvas in a cute pink chevron washi tape that I had picked up the day before at Michaels. 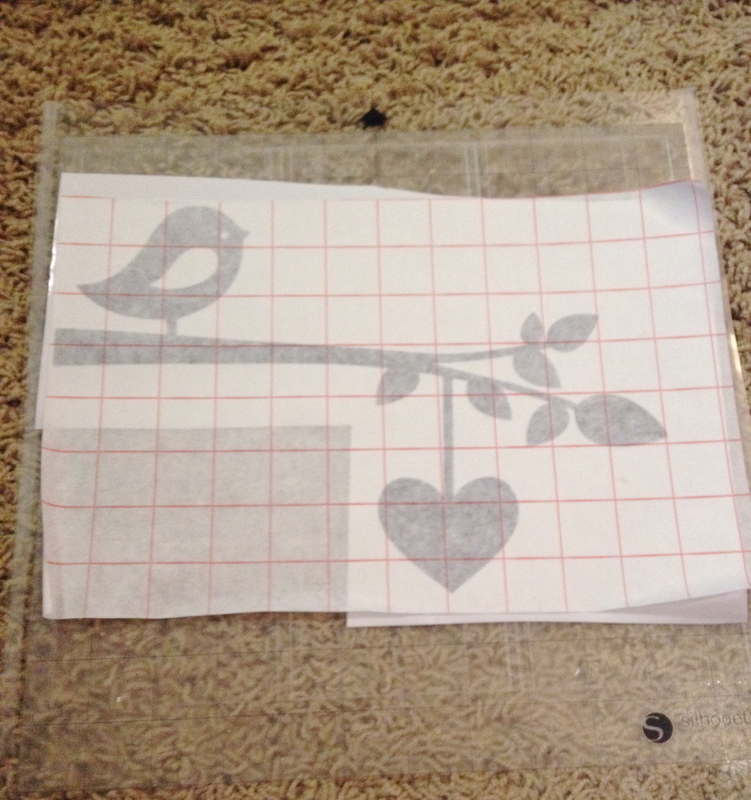 After I wrapped the canvas I used my Silhouette Cameo to cut out a fun Valentine's Day scene using vinyl. 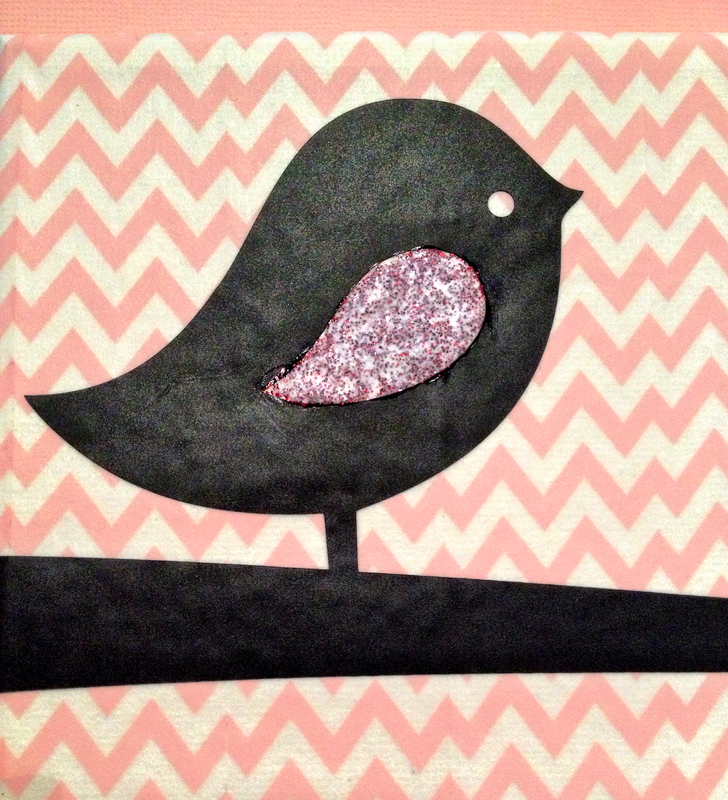 After transferring the vinyl to the canvas I used some red glitter and mod podge to make the wing on the bird pop a little. Glitter can always make a piece feel so much fancier. 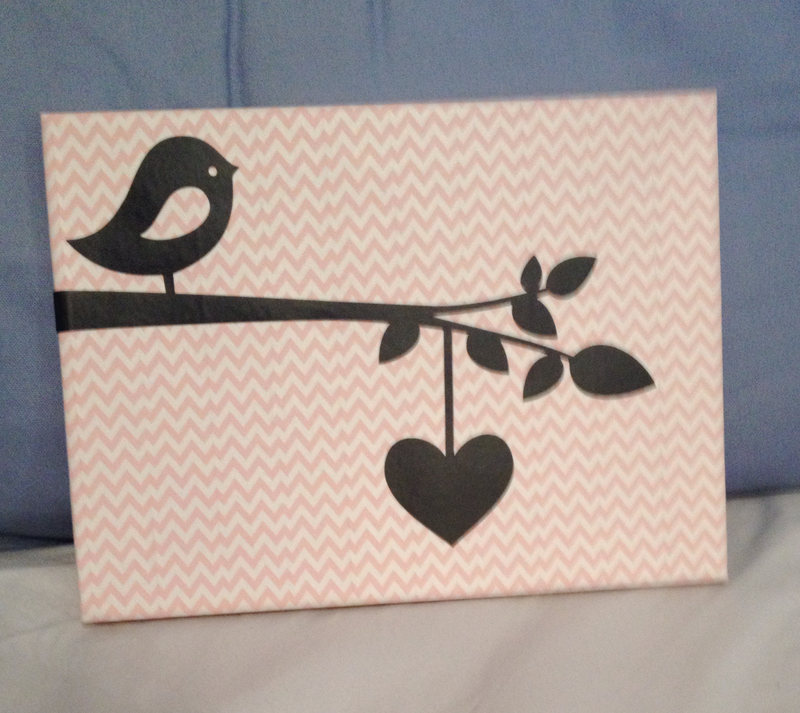 I think the final piece will make a great Valentine's Day decoration for years to come. 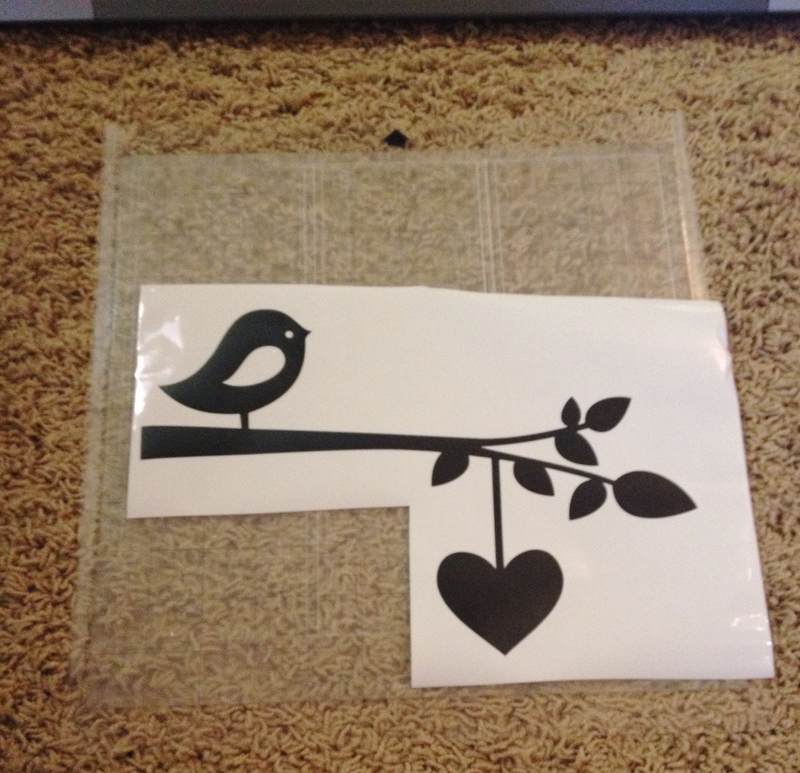 It was quick easy and fun!